When my coworker told me that Starbucks was making a unicorn frappuccino, I immediately (well, after chatting WHAT?!!) googled the terms “vegan” and “starbucks unicorn frappuccino” in hopes that my soulmate, ahem I mean another unicorn-loving vegan, would have posted the answer to my question somewhere on the internet (with a bow on it). Unfortunately, this wasn’t the case, but since Starbucks posts their ingredients online, I sadly (or maybe not so sadly after hearing reviews from muggles who have actually tried it) discovered that it is NOT vegan. My FOMO has been skyrocketing the past 2 days since hearing about it, so I was forced to make my own so I could get on with my life. Although I haven’t tasted the one at starbucks, I’m going to assume that mine is better. And if it isn’t, at least it’s healthier. Oh, and if you don’t believe in drinking frappuccinos that don’t contain caffeine, you might prefer this other frappuccino recipe. 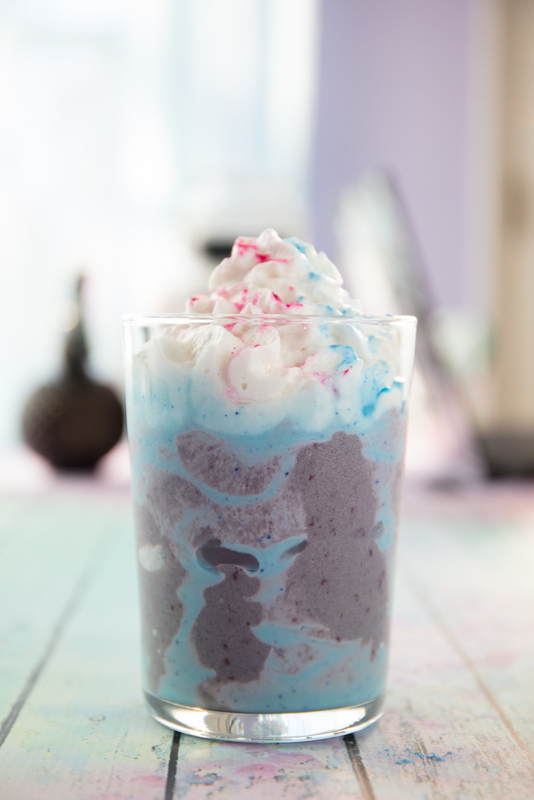 This recipe makes 2 vegan unicorn frappuccinos. 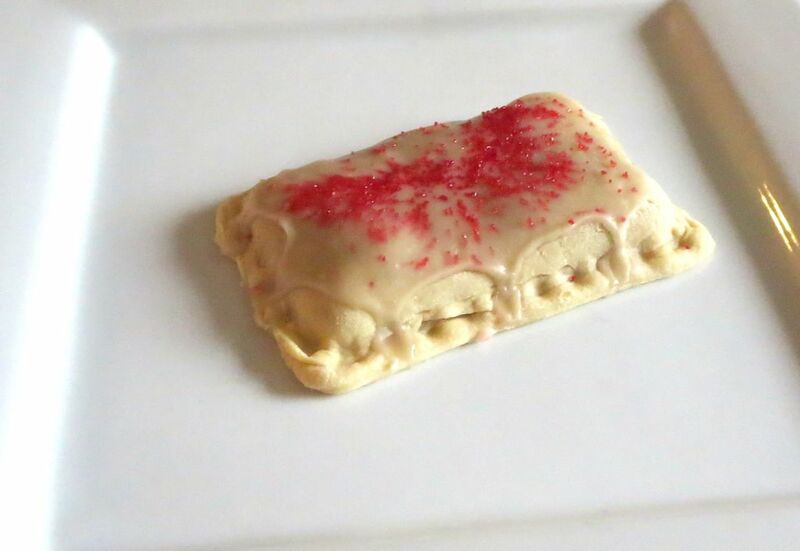 Combine the first 2 ingredients (powdered sugar and pink food coloring). 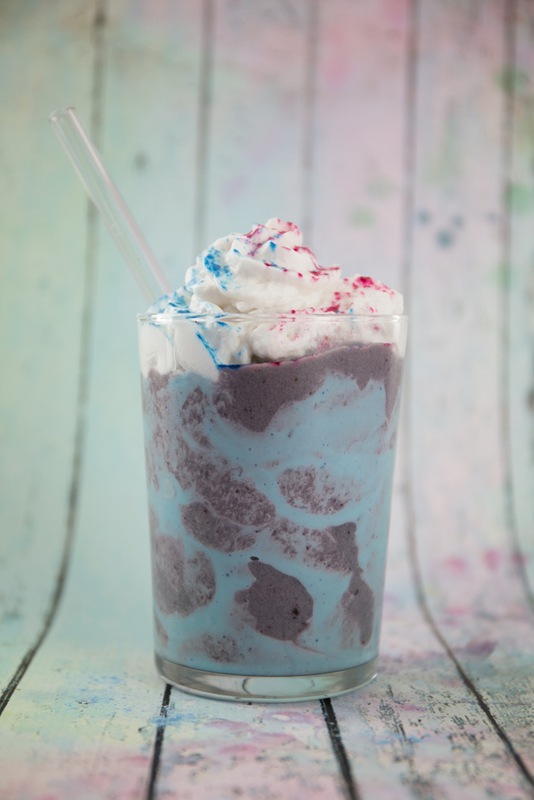 Combine the last 3 ingredients (citric acid, powdered sugar, and blue food coloring). Use a mortar and pestle if it’s not mixing well by just stirring. 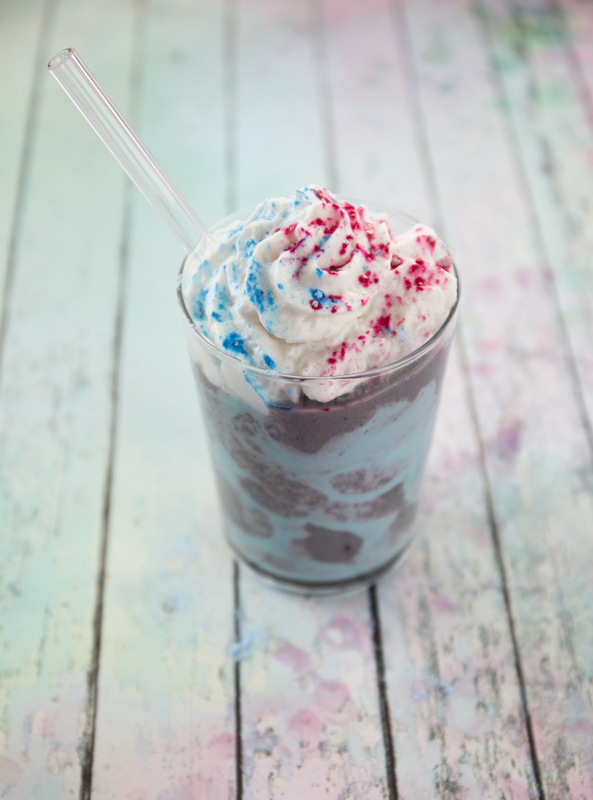 Blend together all of the ingredients using an immersion blender, following the directions on the food coloring package. 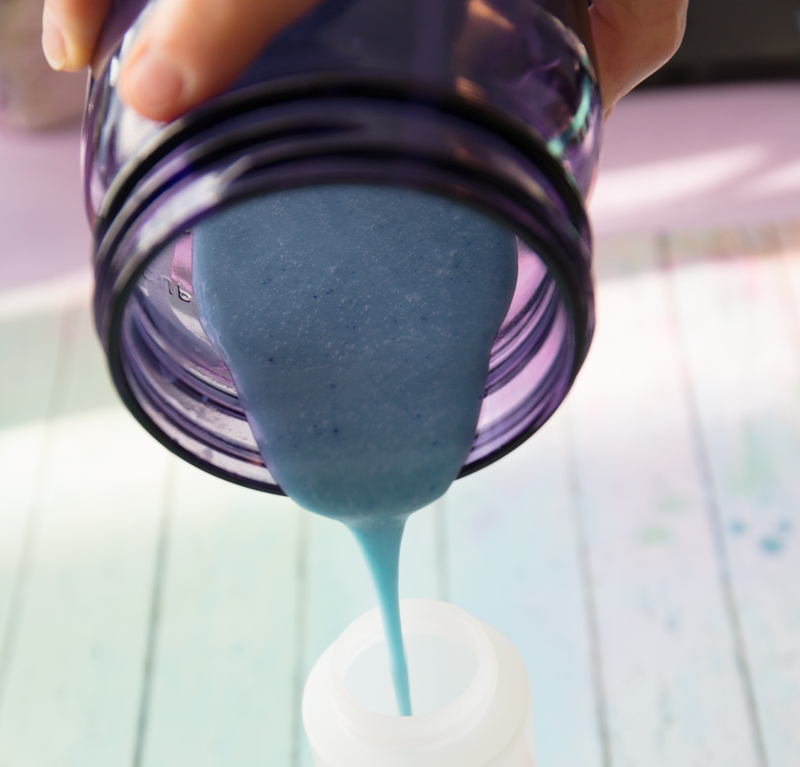 Transfer the blue drizzle to a squeeze bottle if you have one. Blend the frappuccino ingredients until everything is smooth and creamy. This will require stopping the blender and stirring everything multiple times in between. Drizzle the blue sauce into 2 glasses in any pattern you like. If you don’t have a squeeze bottle, you can slowly pour it it from any container or spoon it. Spoon the blended frappuccino into the 2 glasses. Sprinkle with pink and blue fairy dust. If you are a fellow unicorn-loving vegan, let’s hang out! Also, you might like these unicorn cookies and this unicorn gingerbread carousel. This recipe is featured on healthy vegan fridays. This vegan tiramisu cupcake is perfect for environmentalists: they're vegan and waste-free!